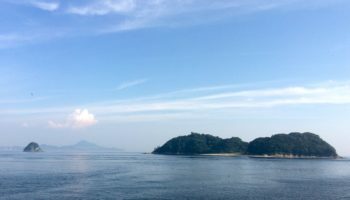 Have you tried the unique experience of a Japanese bathhouse yet? 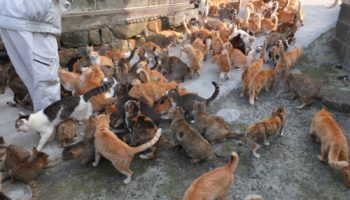 One of the most traditional ways to do this is an attraction in the city of Matsuyama, Ehime Prefecture. The place to visit is Dogo hot spring – the oldest onsen area in the country. 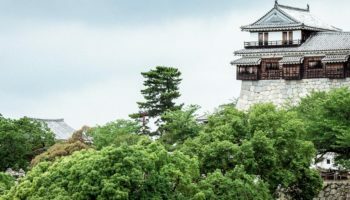 Soak up the history and sweat out the toxins, as this Michelin 3-star attraction is worth seeing even as restorations are being carried out. The hot spring was originally documented in the Nihon-shoki history book, which itself is ancient. 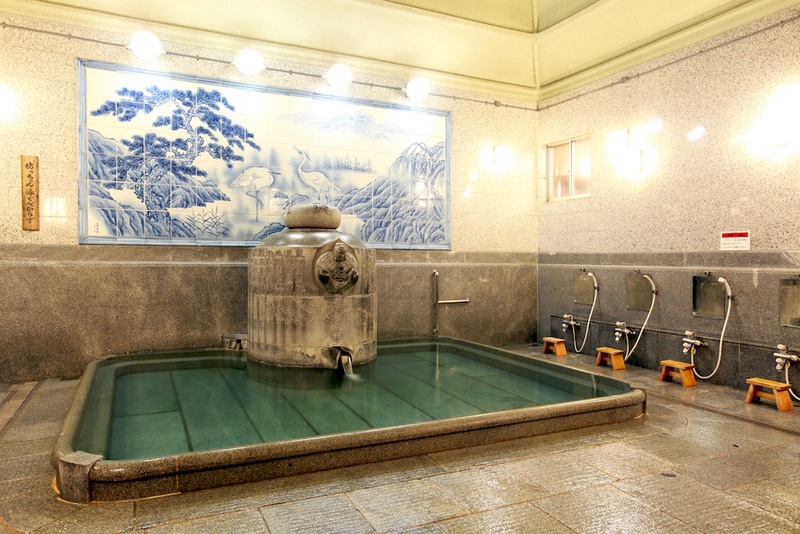 The area’s most famous bath house is Dogo Onsen Honkan. The current incarnation clocks in at over 120 years and is the best way to start or finish a busy day. 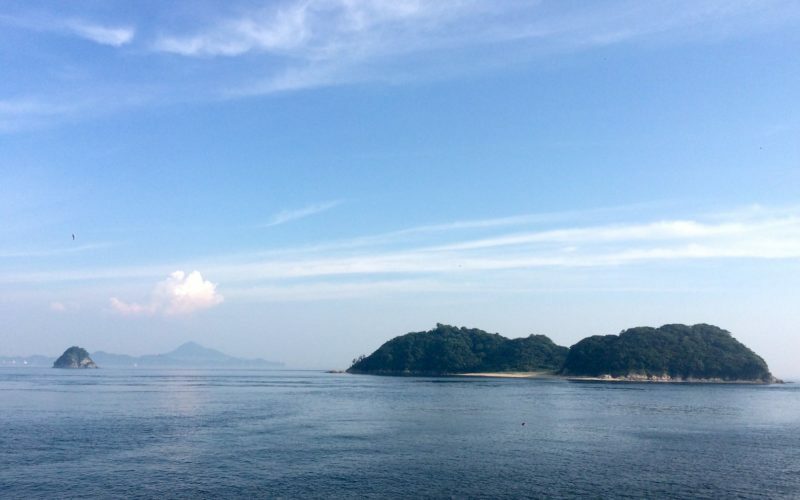 Anime fans will recognize it from Studio Ghibli’s Oscar-winning Spirited Away. Photo by: ©JNTO Baths inside the facility. Three floors will cater from standard to luxury bathing experiences and there’s even a private Imperial bathroom literally fit for an emperor. This royal relaxation quarter was built in 1899 but mere common folk must make do with a tour of the rooms. It’s all a rather splendid affair, though, with gold leaf decorating the doors and Momoyama architecture in all its glory. There are none of the barriers that tattooed visitors sometimes encounter at this onsen. The reception desk will confirm that all are welcome. However, you can always cover up with a plaster or sleeve if you feel self-conscious about your ink. The atmosphere is laid back and don’t be at all surprised if end up conversing with a curious local. There’s none of the barriers that tattooed visitors sometimes encounter at this onsen. 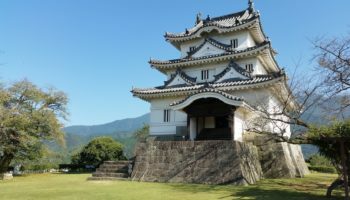 Despite the steady stream of domestic and international tourists, the Dogo interior gives an illusion of space and if you can retire to the second-floor lounges for a tea and snack break between immersions in the soul-reviving waters. The alkalinity is known to smooth the skin and said waters are pumped from 18 wells. 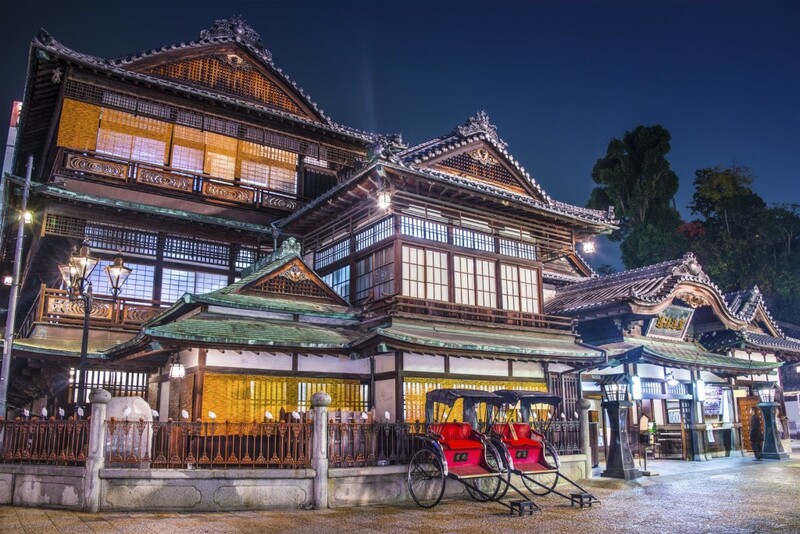 The historic Dogo Onsen bathhouse is one of the historic areas you can travel to. 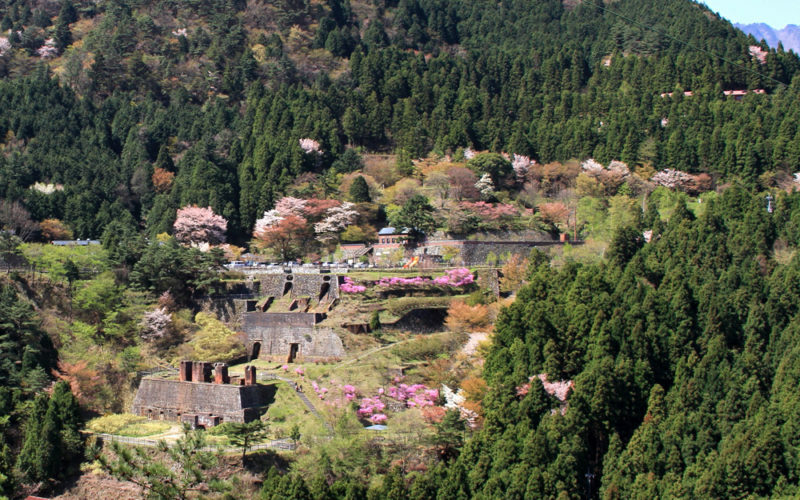 Kami-no-Yu (water of the gods) and Tama-no-Yu (water of the spirits) are the 1st floor baths. The former has tiles featuring herons and the latter has granite and marble tiles. Legend has it that the herons found the original hot springs. The baths are separated into male and female. If you have no towel with you, you can rent or buy on the premises. Don’t spend too long in the waters as the temperature is quite high. Break up your soaks with intermittent trips to the shower. Private lounges are also available for post-bath relaxation and contemplation. A taiko drum in the building’s tower is sounded three times a day, lest you become too sleepy-headed. Now that your limbs and mind are in a state of rejuvenation, time for a wander in a yukata. Hotels and ryokans will supply these to guests; it’s almost as liberating as the baths themselves as you stroll around the shopping areas in these traditional garments. If you seek the ultimate sartorial satori, you can even rent out an antique kimono at the rental shop nearby Dogo Onsen station. In the Dogo Arcade, there’s the opportunity to have a post-bathing beer or sample the famous steamed sea bream with rice. You can also avail of a free foot spa at the Karakuri Clock. 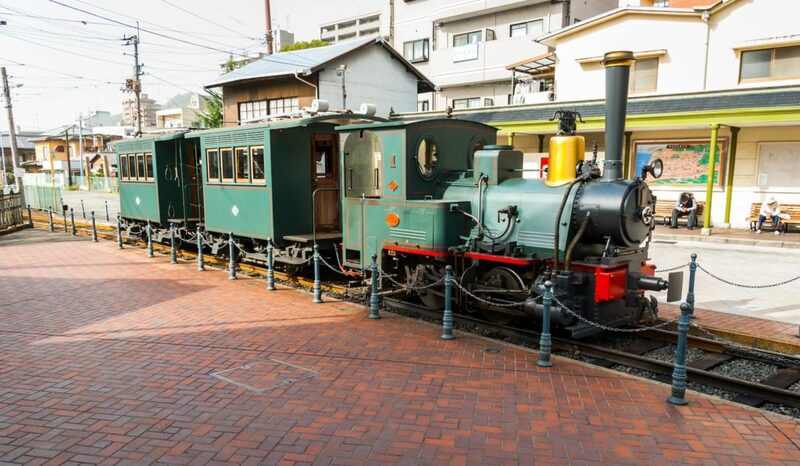 If you wish to continue your time traveling, what better way than to board the Botchan train for a jaunt around the center of town at a breezy 10 KM/H. 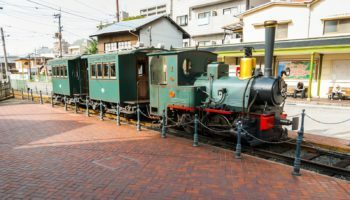 These diesel versions of the old steam locomotives crop up in Soseki Natsume’s Botchan novel and while the days of the self-righteous titular hero are long gone it will transport you back to the age of steam and steel. Are you an onsen lover? Discover more hot spring getaways. Tattoos are OK at this onsen! From Matsuyama city center, approx. 20 minutes by the Iyo Tetsudo Shieki line. From Matsuyama city center, approx. 20 minutes by bus. From Matsuyama airport, 40 minutes by Iyotetsu Shuttle Bus. 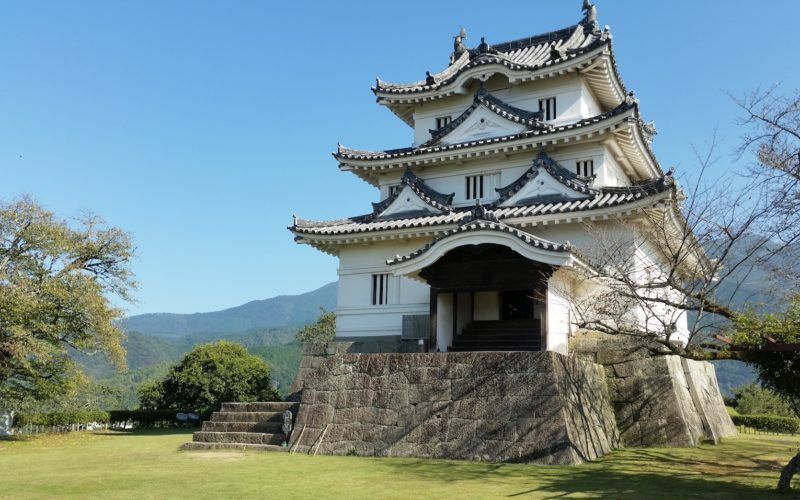 Home to one of Japan's original castles.